FedEx or UPS: Which is the best shipping company to use? We ship out a lot of items regularly – mostly that we have sold on eBay. Since our items are usually larger than 2lbs, we don't use the United States Postal Service (USPS) very much for shipping. We use either FedEx or UPS most of the time if we aren't shipping freight. FedEx and UPS are almost always going to be cheaper to use than USPS for something over 2lbs. But which is better to use for larger item shipping: FedEx or UPS? Which is cheaper to use: FedEx or UPS? Cost of shipping is always going to be a factor when deciding which company to use. If you are running a business and shipping out a lot of items on a regular basis, you want to find the best price. And even if you're shipping items for personal and not business, you still want to save money. Who doesn't? The best way to figure out the cheapest shipping rate is to compare the prices. I know this sounds really simple, but it's something we do with almost every item we ship. It only takes a few minutes and always saves us some money to do so. If you are shipping through eBay you will get an eBay discount on whichever carrier you selected. That discount can be very helpful! Check out these compared prices on an item we sold recently. If you notice in the above two screen shots, you will see both have a discount applied. 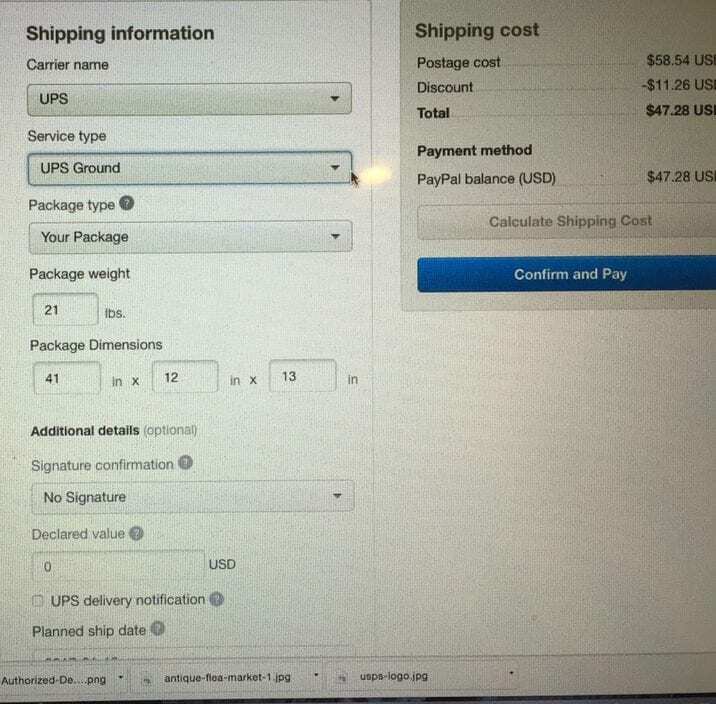 The difference is the FedEx one is the eBay discount and the UPS one is a PayPal discount. If I would have selected UPS for my shipping preference when listing the item on ebay, there would have been an eBay discount for UPS and I would not be able to get a rate or print a label from Fedex. Big Money Saving Tip: The reason I chose Fedex as the shipping company when listing my item is because PayPal will ONLY allow me to print a label for UPS or USPS not Fedex. So if I select Fedex as my shipping company while listing the item on eBay, I can compare the prices with discounts of all 3 companies (using both eBay and PayPal to generate shipping labels). If you are shipping something that is too large for USPS, then choose FedEx in your eBay listing. 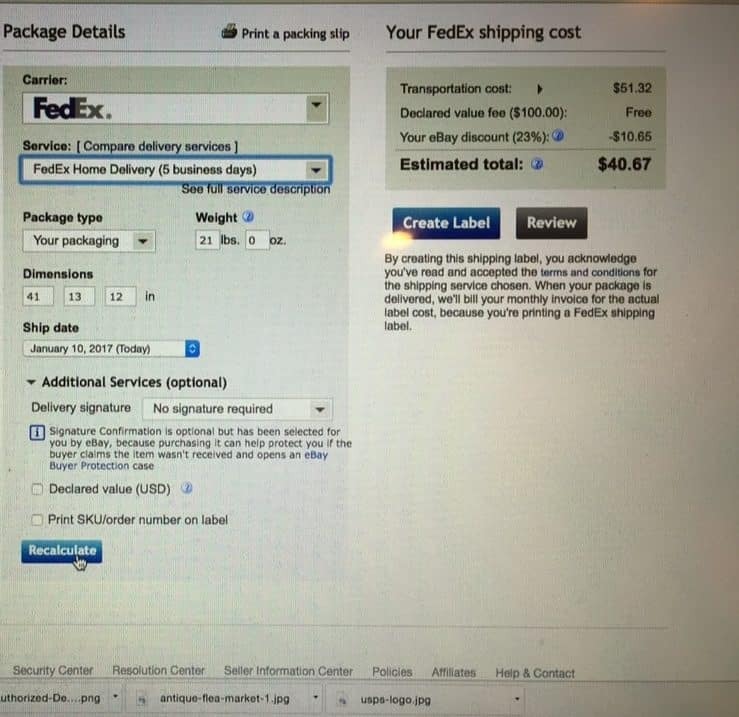 Then you can compare costs of both FedEx and UPS with discounts from eBay and PayPal. Typically I find FedEx is usually cheaper, but I still check all carriers to make sure I'm getting the cheapest rate. Which shipping company is the cheapest? Fedex or UPS? Which shipping company will not damage my box? I wish I could say there was a way to ensure your item never gets damaged by going with a certain company. But the truth is the item could get damaged with either company that you choose. I have seen videos like these before and it still shocks me how people can care so little about their job and about other people. Maybe they were just having a bad day, but their bad day may cause your item to be damaged and not get to the customer safely. 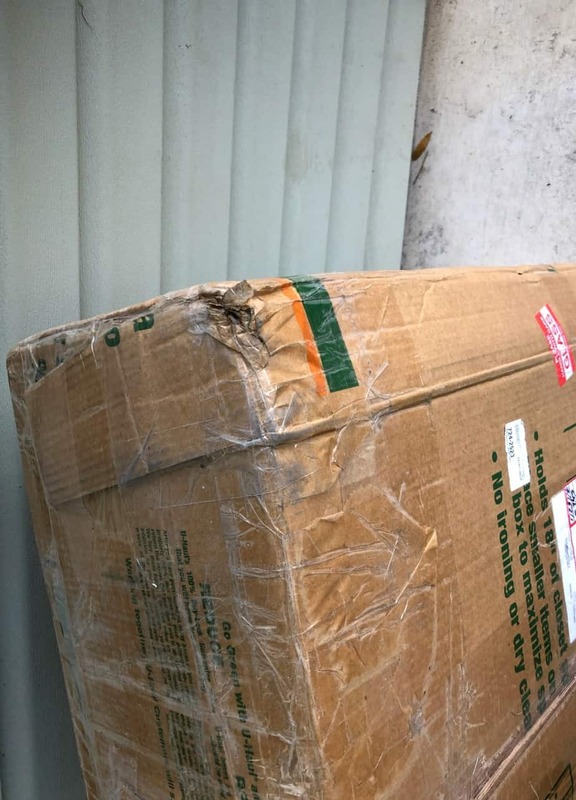 Both FedEx and UPS (and USPS) have employees that don't care, but in our experience we have had the most damaged boxes with FedEx. BUT, we also use FedEx more because it's usually the most cost effective – which could be the reason we have more damaged boxes. I've had several items get damaged over the years, and because I had the item insured, I didn't lose any money on the transaction. You have to make sure the item is packaged properly, and take pictures of it just in case. When you create the shipping label through eBay, you will have the option to add insurance. It's always worth the extra couple of dollars to do so. 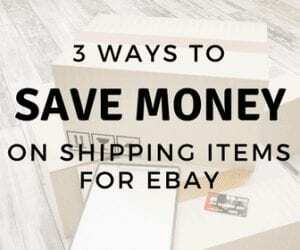 When going through eBay, you are purchasing the insurance through whatever company you are using to ship (Fed Ex, UPS, USPS). It's typically only a couple of dollars extra unless your item is worth a lot of money. If you are not using one of the previously mentioned shipping companies, then you will need to get outside insurance. There are several companies that offer this outside insurance for you. One company that I have used a couple times is called Shipsurance. Another one that I like is called Amerijet. There many out there, and I would shop around for the best quote. How these companies usually work is you put in your cargo info, shipping charges, and what the item is worth. They will quote you an insurance price for your item. On these bigger items insurance can cost around $20 – $100 depending on the value of the item. It's ALWAYS worth it! You can include it in the shipping costs of the item. When people are getting large items shipped they understand shipping will not be cheap. I have sold several glass cooktops over the years, and they are great flips! But just about half the time they get damaged in shipping. Even when I use extra foam padding on them and put FRAGILE and GLASS stickers all over it. It's unfortunate they aren't handled more carefully. I used to get a little stressed if something happened to an item, but now that I know I am covered either way, I just make the buyer happy and move on. No one loses money and it saves a lot of stress! RecentlyI learned that we should always get shipping insurance the hard way. As many of you know, I have shipped out numerous Sleep Number beds over the past 3 years. Well, I thought that since they couldn't get broken that I didn't need insurance. Oh man was I wrong. FedEx actually lost one of my mattress covers and because I didn't have insurance on it, they pretty much said I was out of luck. I guess it didn't occur to me that they could lose my package. I probably should have thought that could be a possibility. This was a battle with them to try to get my money back. After TWO months they found the package and delivered it AFTER I had already refunded the buyer the money. 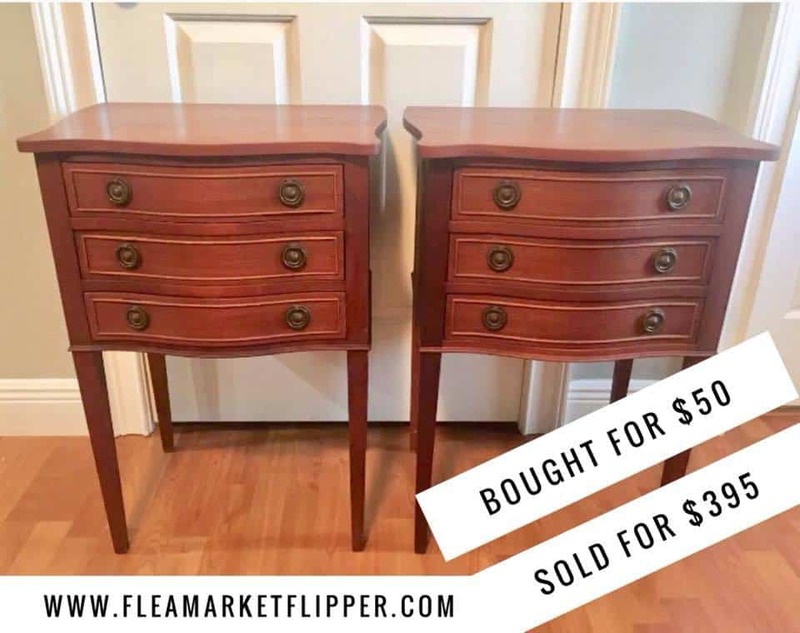 So the buyer then had both the item and the money! After a week or so of messaging her, she finally sent me back the money for the item. Had I paid for insurance on it, I would have been able to get the money back from FedEx when they first lost the package and it would have saved me a lot of headache. Lesson learned. Which shipping company will deliver my package on time? As an eBay reseller, shipping time is important. You have the shipping time of the company to consider and also your handling time to get your item dropped off at the correct location. You want the handling time to be as short as possible to keep good standing with eBay. To get the Top Rated Seller seal on your listings, you need to have a same-day or one-day handling time, and less than 3% of your items can be shipped late. This doesn't mean you have to ship within a day. If you don't care about the Top Rated Seller seal, then you can make your handling time 1-3 days instead. This could potentially limit your customers (people want items fast now thanks to Amazon), and also potentially limit your item in the search rankings, so faster handling time is always better. Once you take the time to package your item and drop it off with the correct shipping company, it's up to them to deliver it in the time they quoted. One key note here is drop off with the correct shipping company. 😉 Not that long ago I dropped off a package that was going FedEx at our UPS store. The customer e-mailed me a few days after his purchase stating it looked like the item had never been scanned. At first I couldn't figure out why, but then realized what I had done. I drove back to the UPS store and they still had my package sitting there! I dropped it off at FedEx, e-mailed the customer back apologizing for my mistake and the delay, and all was fine again. Phew! There have been a few instances where a package took longer than expected to get to it's destination. A few months ago Melissa shipped out this set of side tables. We packaged them up individually, so had two boxes dropped off to FedEx. One arrived to Michigan safely and timely, while the other took a little trip to California (We are shipping from Florida), before it made it to it's new home. Melissa kept communication with the customer and we also stayed on top of FedEx and a week later the second packaged arrived. We aren't exactly sure what happened, but the customer was happy when she finally received her second table. Keeping good communication with your customers is important. This buyer could have easily been upset and left negative feedback for us, even though FedEx was at fault. But since Melissa kept communication open, she was very happy with her tables and left us a great review! I mentioned earlier about the time when FedEx lost a Sleep Number mattress cover. Somehow the package went missing, and somehow two months later they found it! Both of those instances are not the norm, and are just two out of hundreds of things we have shipped out. If you are shipping out a lot of items, damaged or lost packages will probably happen at some point. Just be ready with your shipping insurance and you shouldn't lose any money. One option for shipping through FedEx is using Smartpost. This is where FedEx recieves the package and then USPS finishes the delivery. 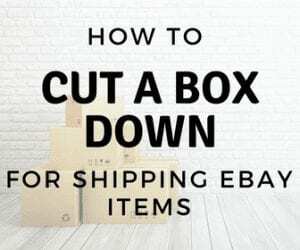 This can be the cheapest way to ship your item, but may also be the slowest. We have shipped Smartpost in the past, and won't use it now because of how long it takes to ship. Which shipping company will deliver my package on time? FedEx or UPS? What if FedEx or UPS denies my insurance claim? 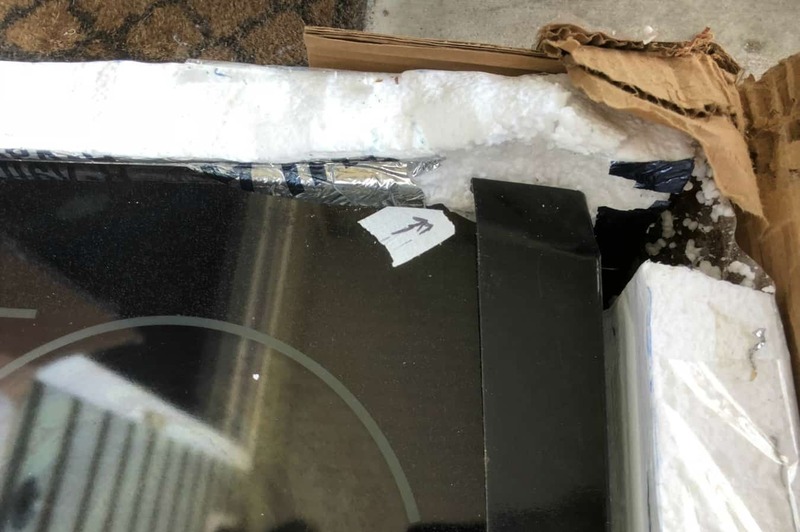 It is very likely that either FedEx or UPS will deny your insurance claim at first – even if the box was obviously dropped and damaged by the company. Here is an example of a cooktop that I mentioned earlier. The glass was broken when it arrived at the customers house. When the box came back to me it was evident that it had been dropped on the corner. The same damaged corner where the glass was broken. It took several phone calls of getting the right people on the phone to get the claim taken care of. If this happens to you and your claim is denied, keep calling back. If they caused the damage or lost the item and are giving you a hard time about paying out, don't give in! Keep calling until you reach the right supervisor that can help you out. 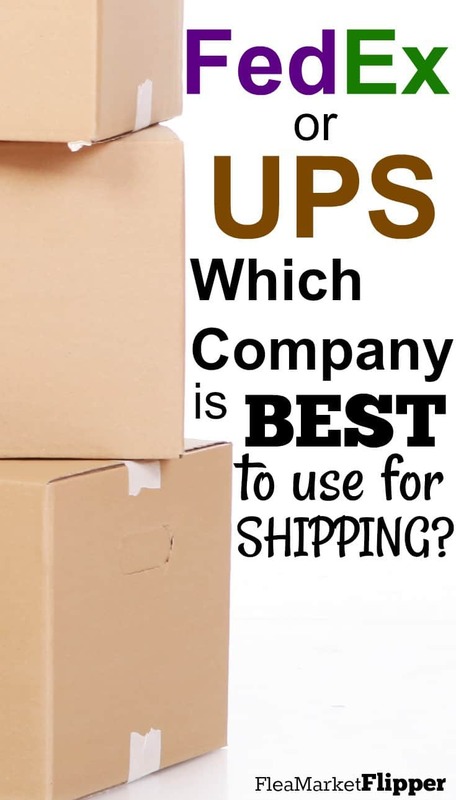 So which shipping company is the best to use? FedEx or UPS? Technically UPS won 2 out of the 3 categories above, but in our opinion Fedex wins our business – and that's mainly because their cost is lower than UPS most of the time. We've had to file the most insurance claims through FedEx, but that's because we use them a lot more than we use UPS. There may be a day that we switch to UPS for shipping – if our frequency of insurance claims through Fed Ex goes up, or UPS shipping costs go down. Which shipping company do you prefer? FedEx or UPS? 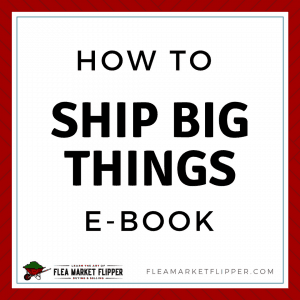 If you haven't already, don't forget to grab our PDF download of 3 Ways to Save Money on Shipping. This will also add you to our flea market flips and eBay tips and you can unsubscribe any time you wish. And if you want to dive more into large item shipping – check out our post on 5 Steps to Get Started with Freight Shipping. 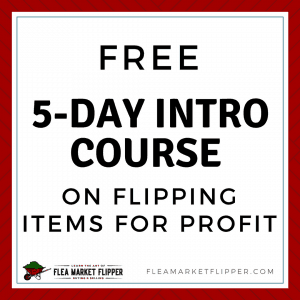 If you are brand new to flipping, check out our free 5-day intro to flipping e-mail course to help you get started and find out if this flipping thing is something for you. 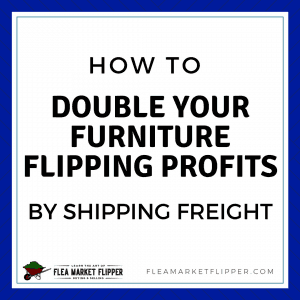 Already know flipping items for profit is something you want to do? Check out our Flipper University course to help you cut out the trial and error and make some money flipping items! Affiliate links may be used in this post. Please see our affiliate disclosure for more details. Hey Rob and Melissa. I have a question. You said you always put Fedex on the choice for your larger items and that way you can check the prices of both Fedex and UPS when you re getting ready to sell it. Have you had a problem with the buyers getting upset if you put down fedex, but decided to send it UPS? I would think they could send you negative feedback. I don’t think that anyone would have an issue if an item came fed ex or UPS, as long as it came in the same time frame, price and condition as promised. I honestly have never checked my amazon and eBay orders before to see what service they were using.